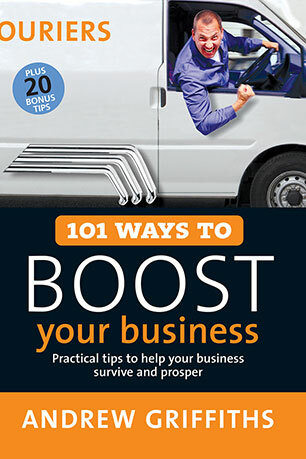 A collection of practical business, financial, legal and personal tips to help your business survive and prosper. From the author of the bestselling 101 Ways to Market Your Business comes a book full of advice to help you guide your business on the road to success. Running a business is difficult and demanding at the best of times. The trick to surviving is avoiding the common hazards that all business operators face along the way. These 101 practical survival tips will show you how you can successfully navigate your way through these hazards, and help your business to reach its full potential. Each survival tip is based on years of experience and sound advice from successful businesses around the world. Choose and apply a new tip each week or use this book as a source of inspiration and guidance when setting up a new business. There are tips to help you build better relationships with your suppliers, your staff and your customers as well as financial, legal, marketing and personal survival tips. All are designed to highlight common problems and to give you a clear course of action that will increase your chances of business survival. Andrew Griffiths has been a small business owner for over 20 years. He runs a successful marketing company, The Marketing Professionals, and provides practical advice and solutions to both large corporations and small business operators.